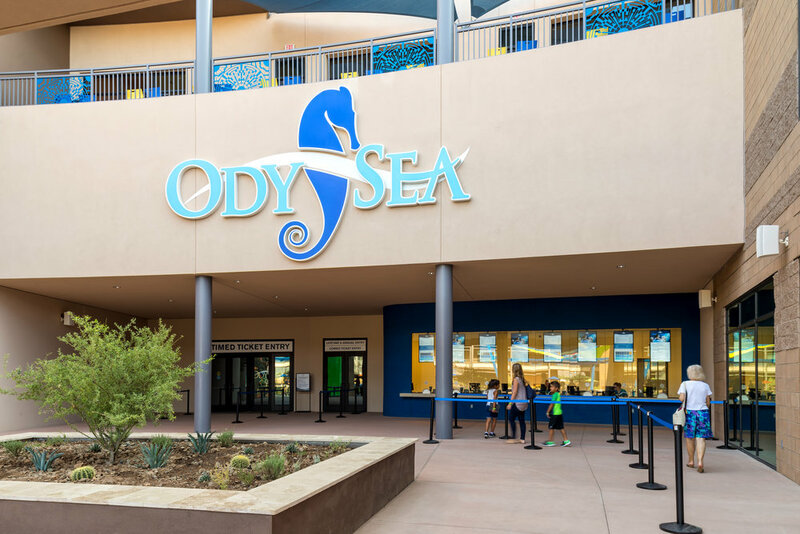 Part of the 37-acre OdySea in the Desert Entertainment complex, the OdySea Aquarium is a two-level facility that spans over 200,000 SF. 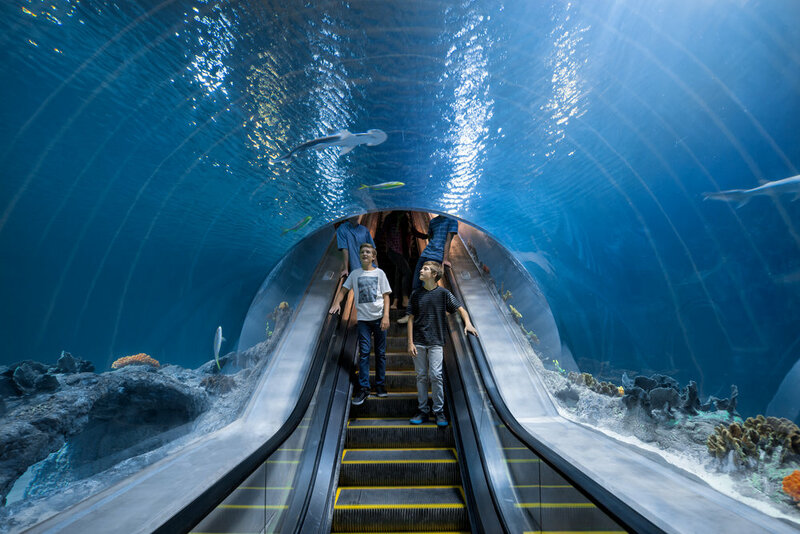 Visitors move to each level via acrylic tunnels while viewing some of the most fascinating animals of rivers and oceans in the world! Among some of the unparalleled features are the SeaTREK experience that allow guests to descend deep into the “ocean” where they will be surrounded by sea creatures on all sides. Other features include a state-of-the-art 3D theater, staffed presentations, and a visitor experience that has never been accomplished in any aquarium in the world. Visitors to the OdySea Aquarium will embark on a journey exploring all areas of marine life—from the bayous and coral reefs to deep abysses of fresh water and salt water. A sampling of the planned exhibits includes Rivers of the World, American Rivers, Amazon Rivers, Shores, Penguins, the Great Barrier Reef, and “the Bizarre & the Beautiful,” including jellyfish, octopus, large king crabs and seahorses. 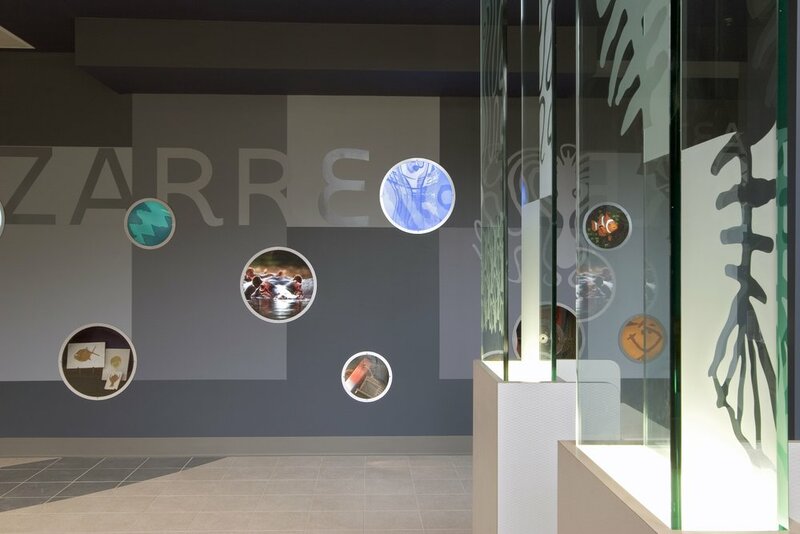 Educational media boards, placed throughout the facility, will provide hands-on experiences, illuminated world maps, and sounds from different regions all over the globe. 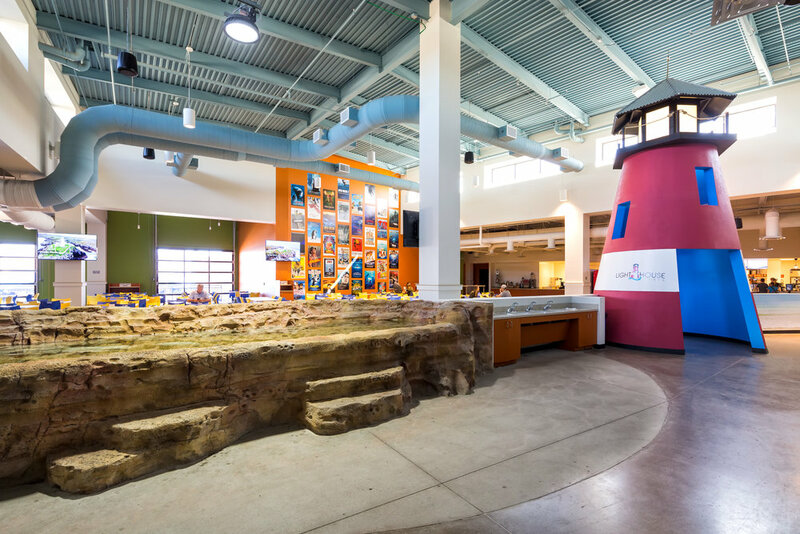 The OdySea Aquarium includes a Lighthouse Café serving a full menu and light snacks, and an OdySea Treasures Gift Shop. Additionally, the facility can accommodate private events up to several hundred guests. A major complement to OdySea in the Desert’s Aquarium, retail venues and restaurants, Dolphinaris is Arizona’s first swim with Dolphins experience. Amenities include a second-floor restaurant overlooking the dolphin’s habitat for excellent viewing both during the day and night. A rooftop sky deck will allow guests to also view the dolphins, as well as the spectacular mountain views. A beach club allows for relaxing in the serene environment before or after your dolphin encounter, complete with lounge chairs, private cabanas and spools. This area will also accommodate private parties, both during the day and evenings. 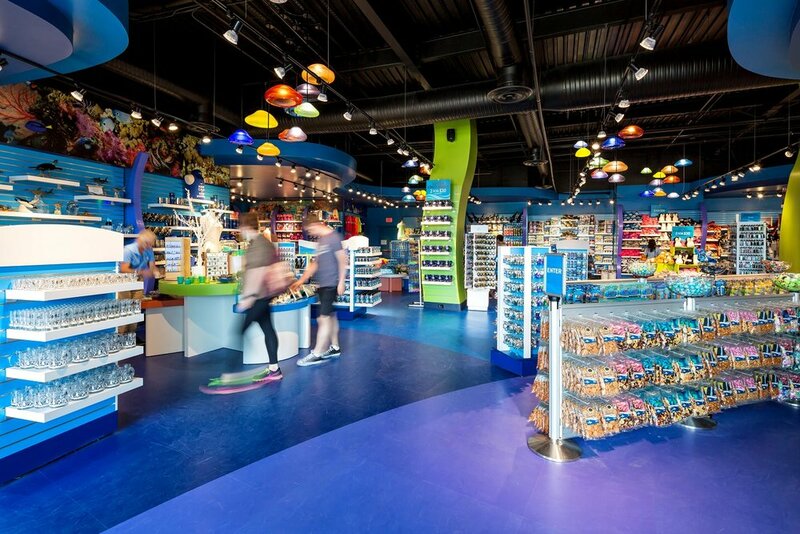 Within the OdySea Aquarium, the OdySea Treasures Gift Shop is the place for one-of-a-kind souvenirs. You’ll find marine and aquatic-themed clothing for both kids and adults, unique jewelry, artwork, books, stuffed animals, and more! Deutsch provided design and construction administration for this project. The Aquarium experience continues into the Lighthouse Cafe with a stunning art exhibit and amazing aquatic views. Offering specialty salads, artisan pizza, gourmet burgers and sandwiches, the menu at the Cafe includes locally sourced ingredients that appeal to a variety of palettes and ages. Deutsch provided design and construction administration for the Frozen Penguin, which specializes in creating your own custom ice cream sandwich. This tenant improvement is located within the OdySea in the Desert retail ring. Deutsch provided the design for this tenant improvement in the OdySea in the Desert Development. Designed after an actual mine, the suite is a rustic themed space for retail merchandise. 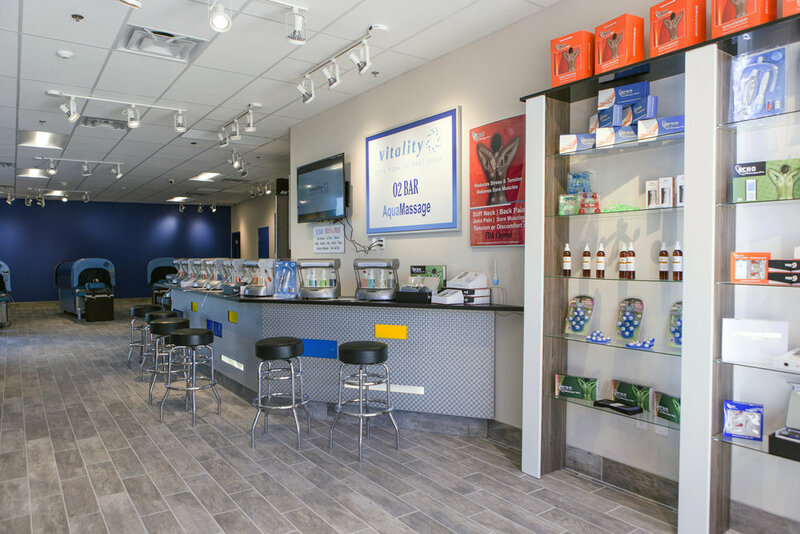 The retail space is an open concept, including restrooms, offices and storage. A full-line general merchandise store featuring Arizona/Southwest products, gifts and souvenirs including tee shirts, caps, mugs, shot glasses, magnets, key chains, signs, postcards, cactus, Mexican imports, Native American crafted items, salsas, soups, jellies, candies, ceramics and more. Deutsch designed this tenant improvement located within the OdySea in the Desert Retail ring. This public/private partnership project was creatively delivered through the teaming relationship of the Town of Gilbert, Polar Ice Ventures and Deutsch Architecture Group. The facility includes an entry mall, skate rental, party rooms, building operation offices and exterior retail shops. One of the ice skating sheets includes stadium seating for 500 spectators. OdySea in the Desert will be a high impact and totally unique destination and experience for millions of visitors. The project consists of the Butterfly Wonderland and OdySea Mirror Maze, along with future projects including: OdySea Aquarium, Aquatic Oasis, and retail stores and restaurants. The project will be 523,000SF along with parking for over 2,400 cars, on a gross site area of 37.5 acres. OdySea in the Desert will be a world class attraction which in addition to retail and restaurants will encompass multiple linked and integrated visual and sensory experiences, thus providing an entertainment and learning venue unlike anything else in the Southwest. Tour opportunities will make OdySea in the Desert the must see experience destination within the Arizona tourism industry and the local population. Deutsch provided architectural design for the redevelopment of this plaza retail center. The single-story building includes a mezzanine area, a skylight roofed atrium, and an outside patio surrounded by various tenant spaces. The building underwent a facade upgrade to better compete with surrounding retail complexes. 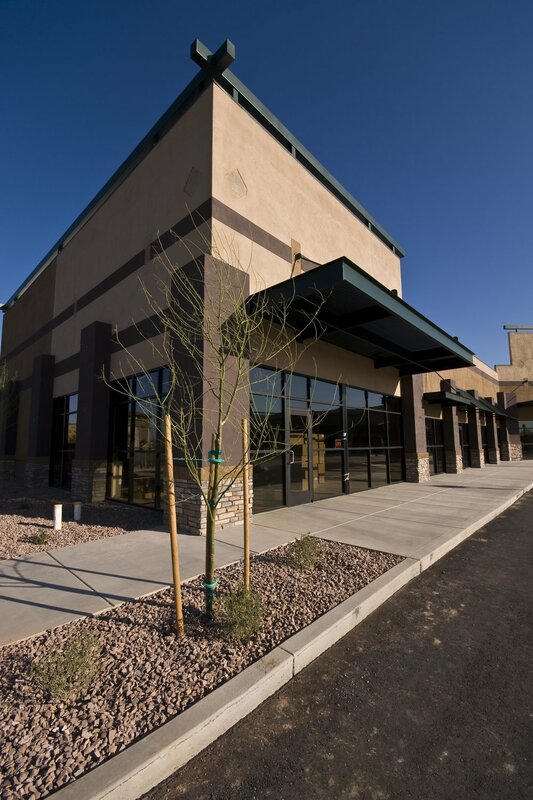 Deutsch originally designed this complex for Desert Development Property Group. This retail development is a shopping center featuring a range of retailers and relaxed restaurants. 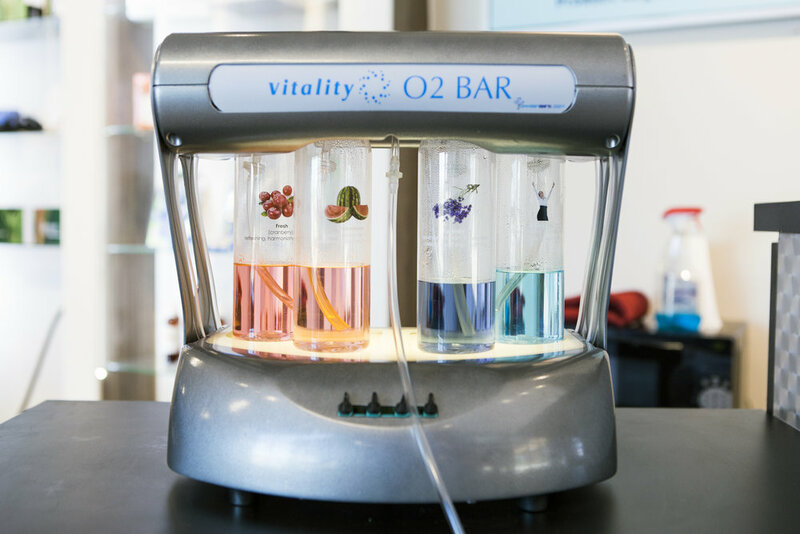 Vitality specializes in aqua massage and oxygen bar services, as well as retail sales of massage equipment ranging from novelties to medical grade TENS! This tenant improvement is located within the OdySea in the Desert retail ring. Deutsch designed this 54-exhibit, ‘visitor friendly’ aquarium. The magnificent multi-level building contains over 760,000 gallons of both salt and fresh water habitats. Two hundred feet of viewing tunnels create an interactive and functional environment for exhibit emphasis. The aquarium is adjacent to the existing zoo and is designed as a tourist and family destination. It features a entry building and gift shop, a restaurant and lounge, a log flume ride, and the three buildings of exhibits. The impact to the Litchfield Park is substantial, as this location provides a day and evening entertainment venue, when combined with the existing zoo. 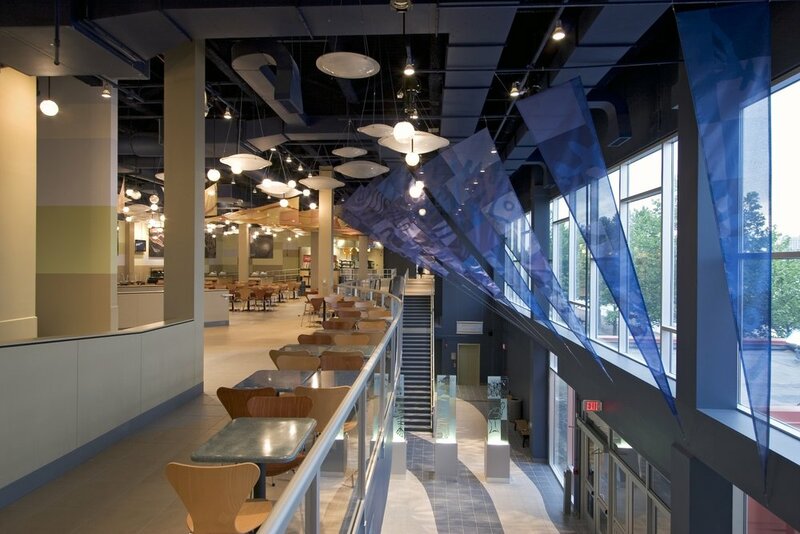 Deutsch provided master planning and design, including 8,000 SF of retail, office and restaurant space. The remaining 120,000 SF are for exhibits. Deutsch designed this mixed-use project in two phases. Phase I included 8,832 SF of restaurant, 5,594 SF of retail shops and 42,000 SF of office condos. Retail spaces vary from 1024 to 2048 SF. Phase II added three buildings for various use and included an interior courtyard. 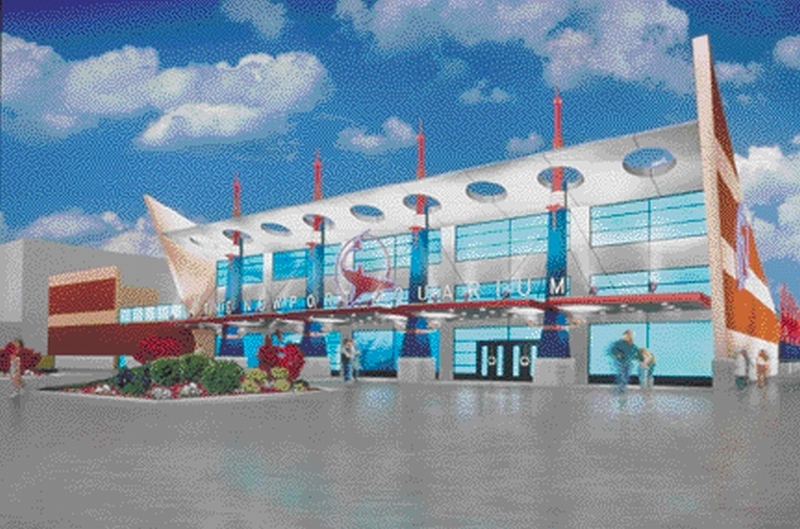 This project is an expansion of the existing New Jersey Aquarium renovating portions of the existing aquarium building and constructing new exhibit additions. DA is providing Interior Architecture and coordination services for this project. 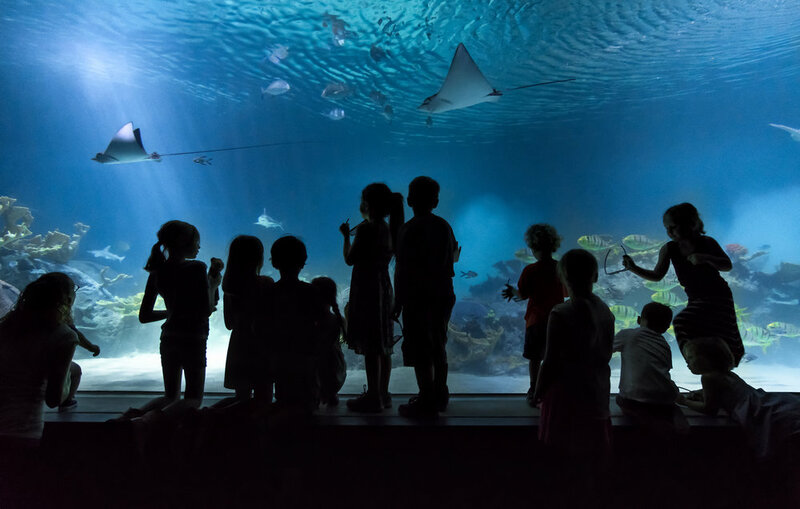 This includes coordinating the design and the theme work development, and providing concept and schematic designs of the aquarium for both interior and exterior. This addition will include pedestrian bridge connections, a hippo exhibit, and multiple levels of viewing experience. Deutsch designed a new major freshwater African River habitat exhibit featuring underwater, and above water, viewing opportunities of Nile River hippos, birds and crocodiles along with colorful multi-species fish living together in a naturally lit habitat. 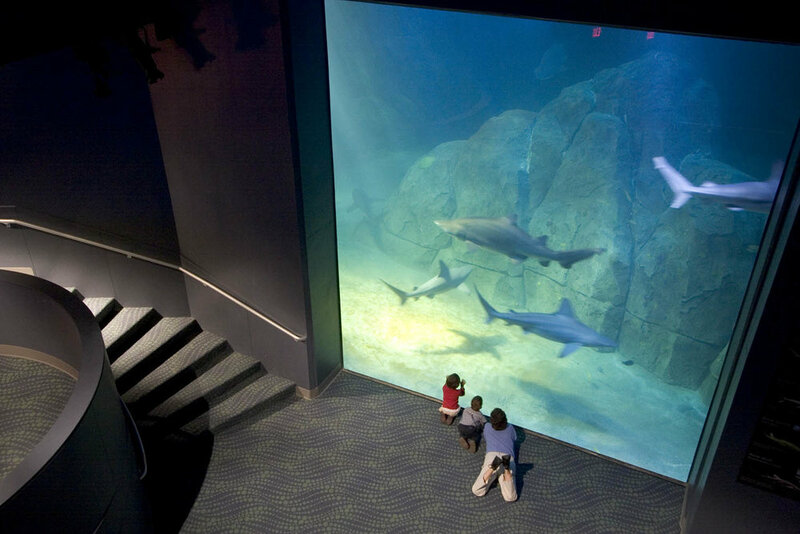 The Shark Realm is experienced several times by viewers through numerous viewing structures including a long viewing tunnel. This and other aspects of the exhibit actually allows guests to feel as if they are snorkeling through the water shared by the sharks.